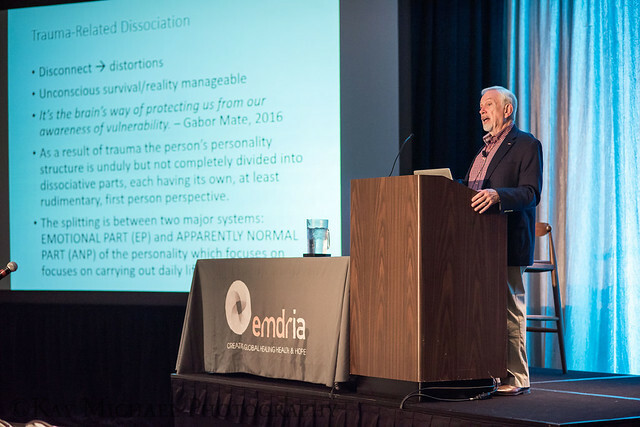 The EMDR International Association strives to provide a Conference dedicated to high quality presentations by trained clinicians and researchers to establish, maintain and promote the highest standards of excellence and integrity in EMDR practice, research and education. With this in mind, participants will be able to identify best practices and emerging research in the treatment of trauma; they will be able to apply advanced clinical skills in the use of trauma treatment modalities; and they will be able to identify ethical dilemmas and appropriate resolutions in educational settings, clinical supervision, and clinical practice. The educational format of the Conference is a mix of plenary and concurrent breakout sessions. The Conference begins with a Pre-Conference on Thursday, which features three full day presentations. The Main Conference, which is from Friday to Sunday, features a plenary each morning, and then a mixture of full day, half day, and 90 minute breakout sessions throughout each day. The annual Conference is usually held in September (after Labor Day), but sometimes may be held as early as the end of August or the beginning of October. Since the EMDR community is spread out across the nation, we alternate the Conference location from year to year to make sure we give everyone a chance to attend without having to fly cross country. The cycle is as follows: eastern U.S. one year, central U.S. the next, and then western U.S. the next. Then we start the rotation over again. This year, we are on our Western U.S. rotation and will be in Bellevue, Washington. Photos from the 2016 EMDRIA Conference, held in Minneapolis, MN.